This paper sets out the Art & Architecture collaboration resulting in the GROVE project for NHS Greater Glasgow & Clyde’s New Stobhill Hospital. This project, based on a strong conceptual framework, uses artworks as part of the construction of a environment where the experience nature plays an important role in healthcare. The paper discusses the practical aspects of this major new public art work and looks at the theoretical ideas of the artists, architects and NHS Arts & Health team. 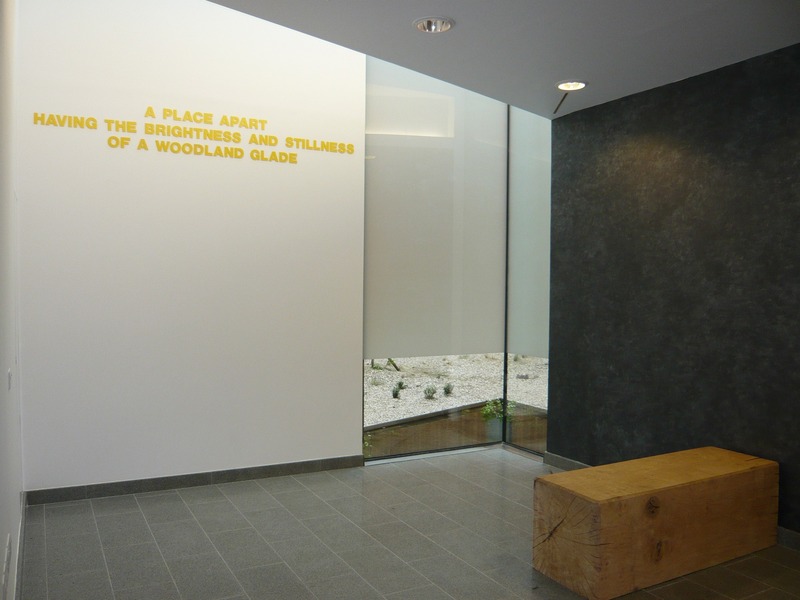 The author, as part of NHSGGC’s Arts & Health team, has worked closely with Thomas A Clark, lead artist-poet; Reiach & Hall Architects; four other artists, and NHSGGC’s Capital and Commissioning Teams to deliver the project. The project was conceived and developed by Thomas A Clark and Reiach & Hall over a 6 year period prior to commissioning, and has been funded by Scottish Arts Council National Lottery Public Art Fund, NHSGGC Endowments, NHSGGC Staff Lottery, as well as a wide range of community groups. It forms one of a series of Arts & Health developments as part of NHSGGC’s Modernisation programme. Robert Smithson’s Collected Writings are always good. Patrick Scott’s Stories Told about the impact of the Berger Inquiry on First Nation Politics and the importance of storytelling. Or Alistair McIntosh‘s Soil and Soul. I could also suggest Distance & Proximity, a book of Thomas A Clark‘s poems, and then I could just read a few! And I should certainly consider Gary Snyder who I was reading over the summer. This text and the associated slides were presented at the Pecha Kucha held at the RSA in Edinburgh.